Is Your Home Earthquake Proof? In the wake of last week’s devastating earthquake and tsunami in Japan, prospective home buyers may be asking themselves what about a house makes it more able to weather a natural disaster. There isn’t a huge difference in the way residential homes are built in Japan compared to in the U.S., although the Japanese are more likely to invest in special earthquake engineering, particularly in commercial and higher-end residential buildings. Home builders in both Japan and the U.S. use a lot of wood-frame construction, which is flexible and tends to ride out a quake fairly well, said Heidi Faison, outreach director at the Pacific Earthquake Engineering Research Center in Berkeley, Calif. But wood frame structures do have potential vulnerabilities in two key areas: the foundation and the wall that supports a crawl space, which is called a cripple wall. She recommends home buyers hire an engineer to make sure the wood frame is bolted to the foundation. If a house has a crawl space underneath it or you need to climb a few steps to get up to the first floor, it likely is supported by a cripple wall, which can buckle in an earthquake. If you’re in an earthquake-prone location, that space needs to be filled in with a solid material. o. Look at the garage, if the house has one. A large garage door opening or a lot of big windows on the first floor, that can create a soft story — an open space without enough support to withstand violent shaking. o. Brick veneer can present a major hazard if it’s not attached well. Brick was a problem in the 6.3 magnitude temblor that struck New Zealand last month. “It doesn’t create as much of a hazard inside, but outside it can injure or kill,” he said. o. 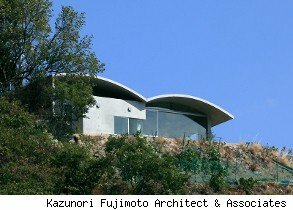 Houses built on a slope are often an issue. They need to be tied back well with footings. Also make sure the slope is stable. Liquefaction — where saturated soil becomes liquid — can be a problem and can occur when a building is located near a lake or river. In an earthquake, liquefaction can cause the ground to behave like quicksand, as seen in New Zealand and in the 1989 earthquake in Loma Prieta in the mountains of Santa Cruz, Calif. These are all important things to look for in a house. But they only address hazards caused by the shaking of the earth. In Japan, most of the damage was actually inflicted by the subsequent tsunami, just as most of the destruction in the San Francisco quake of 1906 was caused by fires that ripped through the city after gas lines were ruptured. A disaster’s chain of events makes the preparation scenario a bit more complicated. There is a growing interest in designing homes better able to survive a tsunami. The basic idea in tsunami design, as in flood-resistant construction is to get some of your structure up above the expected level of water, said Gary Ehrlick. “In commercial structures they talk about vertical evacuation zones.” Under this theory, the first floor, built out of concrete or steel, is strong enough to withstand the pressure of the water. The “zone of refuge” occupies the upper floors. Another concept that came out of the earthquake/tsunami that leveled Banda Aceh, Indonesia, on Boxing Check out our gallery of Day in 2004 is a house where the first floor allows the wave to wash through it, destroying the walls but preserving the foundation. This would be a concrete frame with columns or wall segments in each corner of the house. The walls are panels made out of something light, like bamboo or wood. After a disaster, such panels would be easy to replace.